click on the image below to learn more about each artist. Read – Phantoms and Embodiments: El Quixote a time traveler. 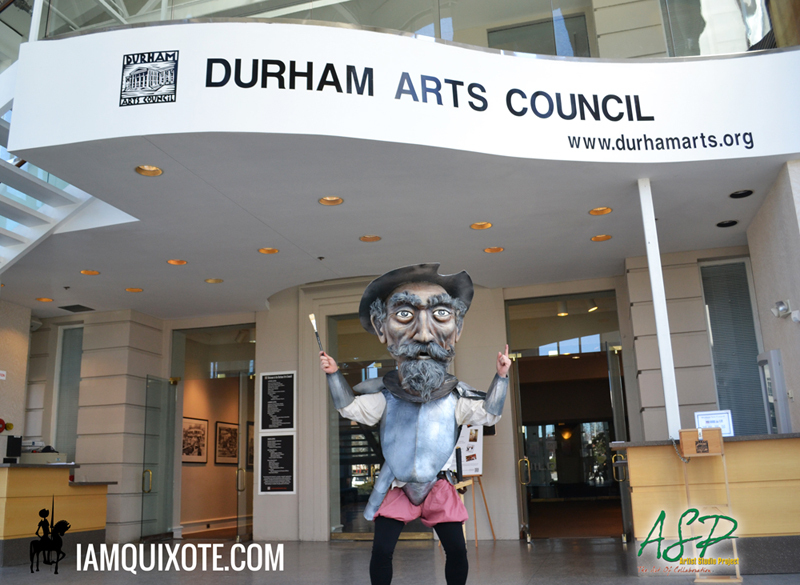 This multi-media selection of works by 32 artists from across North Carolina explores themes from Don Quixote De La Mancha. 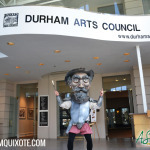 The Durham Arts Council’s mission is to promote excellence in and access to the creation, experience, and active support of the arts for all people of our community and is delighted to have the opportunity to work with the Artist Studio Project to present such inspiring, visual responses to the universal story and spirit of Cervantes’ Don Quixote. 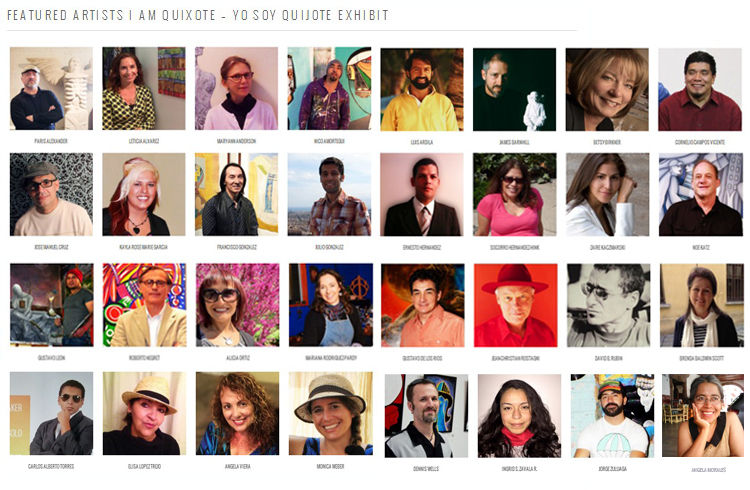 I Am Quixote – Yo Soy Quijote features painting, drawings, sculpture, photography, mixed media, mosaics, and software-generated work. Featured artists include: Paris Alexander, Leticia Alvarez, Mary Ann Anderson, Nico Amortegui, Luis Ardila, James Barnhill, Betsy Birkner, Cornelio Campos, Jose Manuel Cruz, Kayla Rose Marie Garcia, Francisco Gonzalez, Julio Gonzalez, Ernesto Hernandez, Socorro Hernandez-Hinek, Zaire Kaczmarski, Noe Katz, Gustavo Leon, Angelica Morales, Roberto Negret, Alicia Ortiz, Mariana Rodriguez-Pardy, Gustavo De Los Rios, Jean-Christian Rostagni, David B. Rubin, Brenda Baldwin Scott, Carlos Alberto Torres, Elisa Lopez Trejo, Angela Viera, Monica Weber, Dennis Wells, Ingrid S. Zavala R., Jorge Zuluaga. 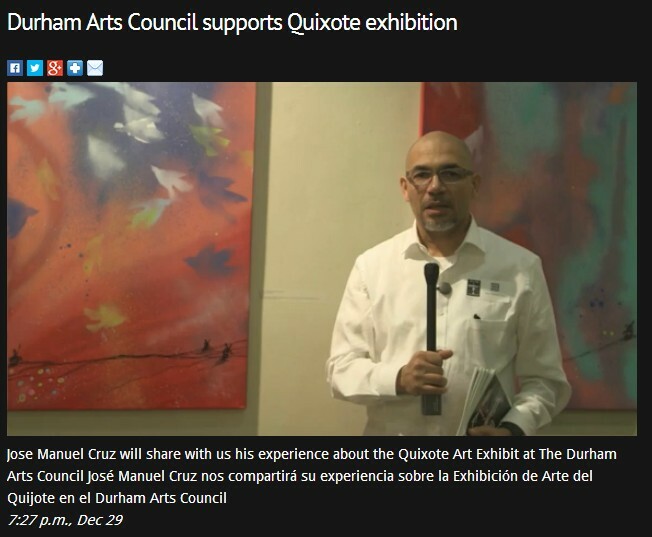 Historic Art Exhibit I Am Quixote, Yo Soy Quijote. The exhibit will take place at the “Allenton and Semans Galleries” Durham Arts Council in Durham NC. 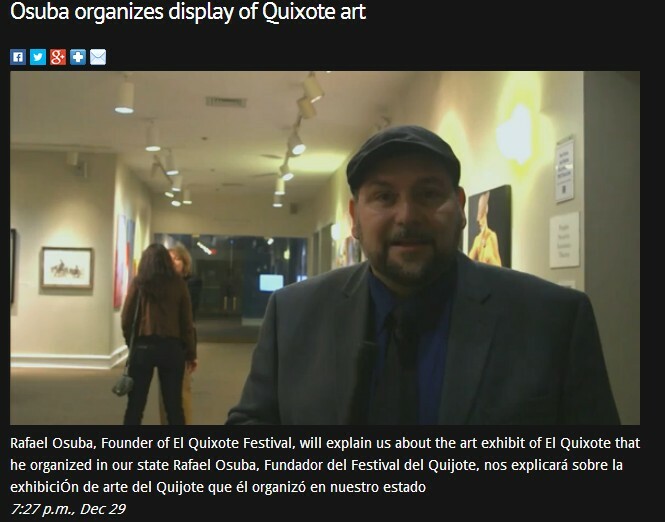 The Festival's initial intention is to celebrate the 400th anniversary and closing of Miguel De Cervantes Saavedra’s two books simply known now as "El Quijote", while placing a special emphasis on artistic creations in the Spanish language. Genres such as visual arts, literature, opera, music, dance, theatre, film and gastronomy along with various academic events are programmed. Additional goals are to broaden the artistic landscape in North Carolina, reach new and more diverse audiences and to build relationships, share knowledge, learn and build consensus. Artist Studio Project: Is a collaboration of artists working to help promote each other’s talents and art through various media forms. Artist Studio Project will team up artists on an intellectual endeavor that is creative in nature and by doing so give them a platform to create by sharing knowledge, learning and building consensus. It is our belief that in particular, teams that work collaboratively can obtain greater resources, recognition and reward when facing competition for finite resources. 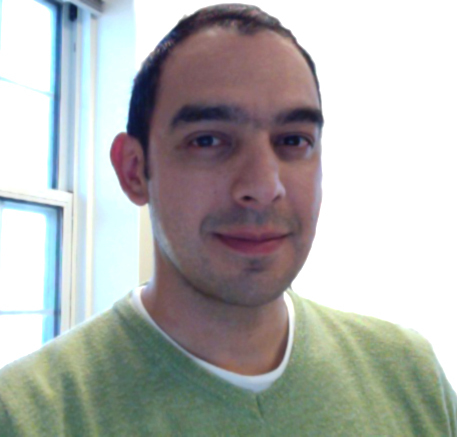 ASP was created by Rafael A. Osuba who serves as its Artistic Director.